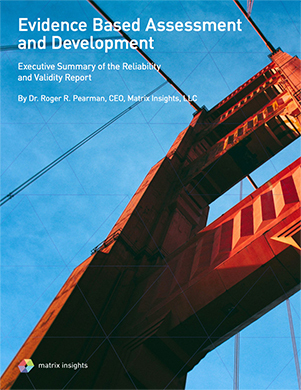 Download a whitepaper below to learn more about Matrix Insights. In the age of the internet, how much longer will we settle for an IBM Selectric™ culture at work? By Bob Eichinger, Ph.D., Roger Pearman, Ed.D. 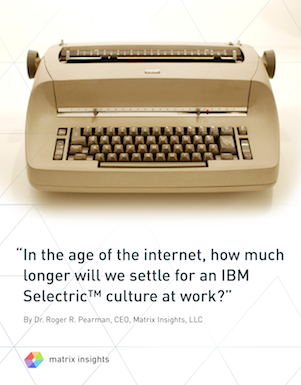 Robert Kegan and Lisa Lahey—two of the most important thinkers in learning and development today—pose this incisive question: "In the age of the internet, how much longer will we settle for an IBM Selectric™ culture at work?" This compels us to reflect on the use of scientific knowledge in creating learning and development initiatives in a digital age. Since the 1970s, science has consistently shown that learning is hardly achieved through an expert standing in front of the learners and regurgitating insights. 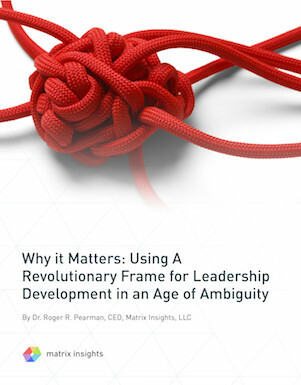 Yet, the vast majority of learning events in organizations are time bound, expert focused, and abstract..
Ambiguity and paradox are the essential "foods" of a leader’s daily diet. And because we live at a time when we know more than at any previous time about how the human brain and biology work, we know that experiencing ambiguity is a toxic poison to how the human system operates. In a very literal sense, our complex world is killing us if we don’t have the tools to lead ourselves and others which build capability and resilience. It's time for a revolutionary frame. 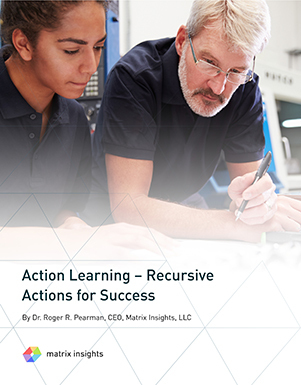 The promise of Action Learning is that the leader learns about the complexity of working with others while dealing with important business issues. While the desired improvement in leader capabilities has a parallel in the generation of potential innovative solutions means that the organization wins at individual and collective levels. This, however, sits on top of a proverbial iceberg of essential teaming skills for the Action Learning challenge to produce the desired outcomes. Team work is everywhere. But it isn't universally thriving, and it certainly isn’t automatic. 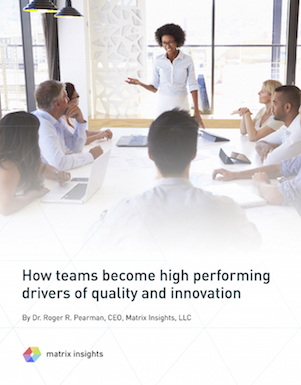 Research tells us that high performing teams —those that consistently exceed expectations— are attentive to more than just their result-oriented goals. Most teams are untrained in team processes or teaming skills, and the underlying teaming behaviors that drive high performance. Creating awareness, and a recurring feedback loop about these critical teaming behaviors is the inspiration for TeamPulse. 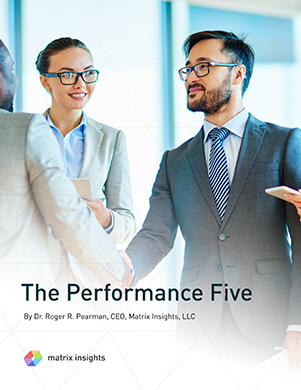 Now you can quickly and easily measure, manage, and promote better team performance, and build a framework for creating real time engagement. 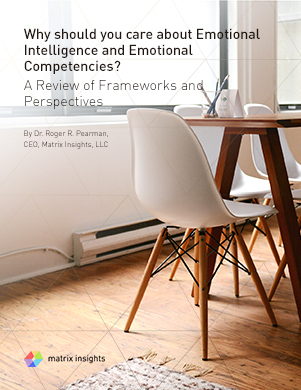 This paper illuminates the underlying research, and the framework for TeamPulse functionality incorporated into Matrix Insights. Launch your teams into a whole new level of performance. The countdown starts today. Personality researchers settled on five essential traits of human behaviors over twenty years ago. The practitioners of this way of thinking about personality have been focused on the various implications of each of the five dimensions. At Matrix Insights, we took the research a few steps further to look at the blended patterns and the impact of various unique patterns as related to teams. Our evidence shows that the story about individual performance isn't whether or not you are at one end of the scale of measurement but how the various qualities blend and are demonstrated. We have advanced the Big Five research to show the richness of the blends of traits and the dynamics of teams. All of this and more is covered in our Performance Five analysis.